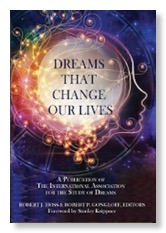 http://www.asdreams.org -- the website of the International Association for the Study of Dreams, for which I have served as President and Board Chair, as well as a variety of committee positions. Its membership is comprised of a diverse array of lay dream workers, dream-inspired artists, academic researchers, and mental health professionals. https://www.truenature.earth--the website of Ronald Keith Salmon, PhD—whole phenomenal video work is a major contribution to the relationship between nature and dreaming/spirituality. You must see the video that he presented at the 2018 IASD conference in Scottsdale, titled "Dreaming in Nature," the link to which is here: https://www.truenature.earth/blog/2018/8/26/dreaming-of-nature-video-release. His overall work spans a variety of areas. http://www.drscottsparrow.com — my private practice website and online appointment calendar. If you're interested in having me work with your dreams, you can schedule your appointment on the online calendar. http://www.lagunamadre.net — the website of Kingfisher Flyfishing Company, where I have posted many of the articles I've written on flyfishing, and embedded many of the YouTube videos I've made over the years while guiding friends and clients on the Laguna Madre. http://www.iasdreamcourses.org — The Moodle-based platform that I developed for the IASD Online Course Center. 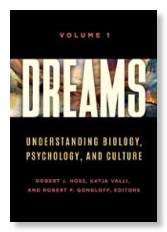 Here you can take a variety of courses on dream theory, research, and analysis, and receive CEs. http://www.atlanticuniv.org -- Atlantic University, offering an accredited MA in transpersonal studies, as well as several certificates including one in spiritual mentoring. I am a charter faculty member of AU, and continue to teach in the spiritual mentoring certificate program. 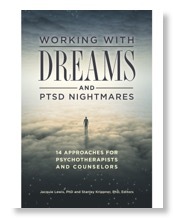 http://www.dreamstudies.org -- Ryan Hurd's increasingly valuable blog of contemporary dream theory and phenomena. Featuring developments in the field of lucid dream research, Ryan's work is on the cutting edge. http://www.bogzaran.com -- the website of Fariba Bogzaran, who founded the Dream Studies Program at JFK University. 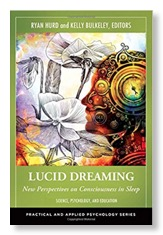 An accomplished artist, Fariba is also one of the top experts in the field of lucid dreaming and spirituality, and has made an extensive study of dream yoga and related shamanistic practices. http://www.transformationandcourage.org --The Personal Transformation and Courage Institute (PTCI), which offers transformational seminars on the east and west coasts. Mary Elizabeth Lynch and Mark Thurston form a dynamic team, and offer their own individually led seminars, as well. Mark and Scott Sparrow have lead several seminars for men under the auspices of PTCI. http://www.intuitive-connections.net/ -- Henry Reed's online magazine in support of an intuitive learning community. Henry has been a pioneer in dream incubation and dream research since the 60s, and has been referred to as the father of the modern dreamwork movement. He is an old friend and fellow Atlantic University professor. We used to take walks and talk about our dreams under the tall pines of Virginia Beach.